If you are in possession of something very special and valuable, chances are you’ll lock it away in a vault so no one can get their hands on it. 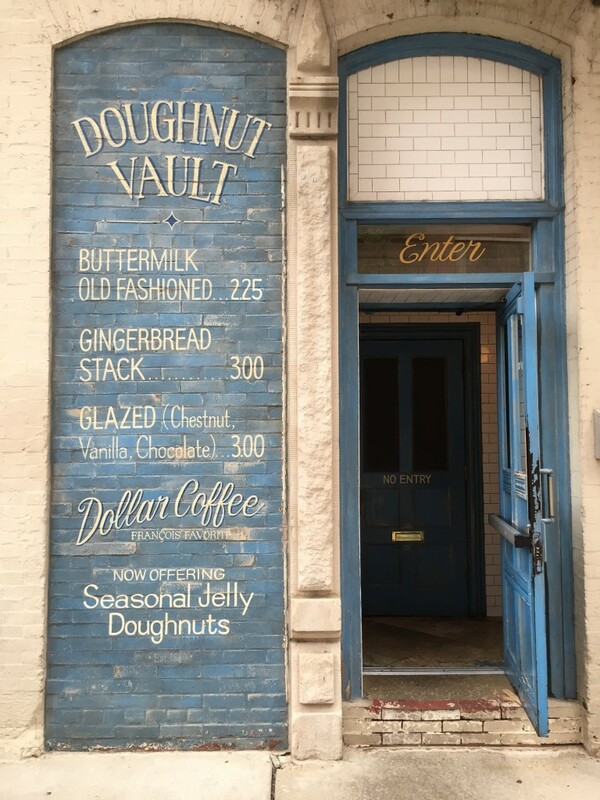 Luckily, the fine people at Doughnut Vault in Chicago have left the door swinging wide open so we’re able to get our glazed covered hands on them. At this small grab and go storefront, you’ll snake along the long line (which has been present since Gilt Bar owner Brendan Sodikoff opened it in 2011) until you walk into a tiny room with a lovely a vaulted ceiling. If you get there early enough, you’ll have a decent selection to choose from. But if you’re wise, you’ll go for one of their cake donuts. It’s what they do best. The Buttermilk Old Fashioned is everything you’d hope for and then some. The outside is crunchy, while the inside is soft. The icing is simple and plays nicely with the buttermilk flavor-burst you get when you bite into the donut. It’s perfection in donut form. When I was there, the flavor of the day was the Peanut Butter Softee. It was a cake donut and the peanut butter flavor was like the candied peanut butter Easter eggs my grandma used to make on Easter. Pure deliciousness. 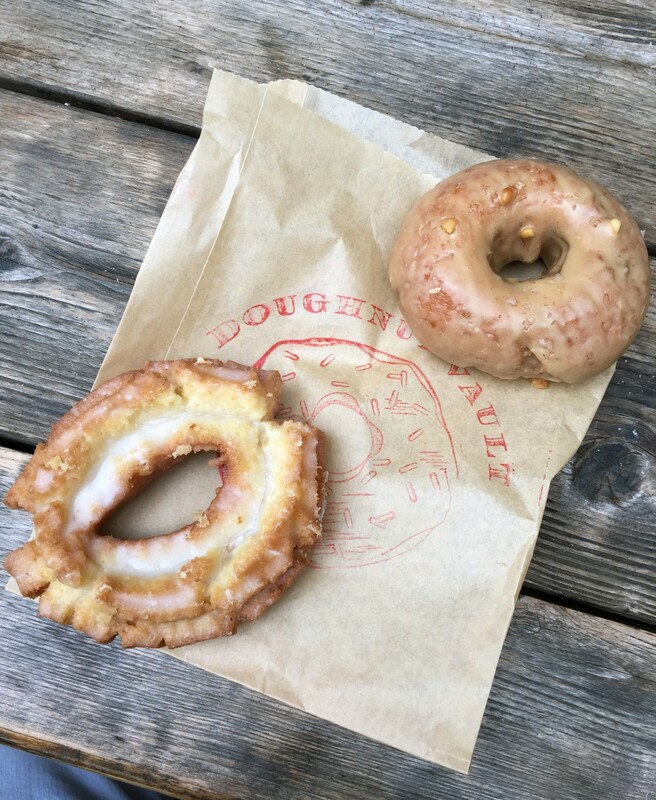 Their menu changes daily, so check their website/Tumblr to see what the doughnut of the day is. And if this video from The Mode Project doesn’t get you hungry, I don’t know what will.